Jed Glanvill is expecting 2012 to be a year of new agency models, more media buying options and lots of opportunities to be provided by mobile. Changing times call on us to adapt, innovate and, most importantly, stay confident. Healthy competition over the years has fortunately meant that our industry has become pretty good at all three. This year’s quadrennial will increase confidence but, in preparation, there are new skills to be learnt and new ways of doing things to embrace. We will do well as long as we don’t indulge ourselves in our own hyperbole and create unnecessary complexity. There has been a technological sea change in the media landscape. Has this changed marketing communications? Indisputably, yes. Has it changed the principles of marketing? No, I don’t believe it has. Brands have always wanted to be talked about. Engagement has always been seen as a positive. The opportunity to make this happen by spending more on marketing and be more effective is greater than ever. Technology has thrown up new lines of communication and new routes to market. Our job is to prove marketing communication effectiveness – if we achieve that, then we prove the crucial point that these new media opportunities are indeed incremental to the plan and not substitutional. The new training ground is the socialisation of communication and choice. To date, the greatest impact that this has had on our industry has been the universal acceptance that good communications have to start with an idea – content or, ideally, a story. In many instances, this manifests itself into a television commercial; sometimes it happens later in the media plan; sometimes not at all. Clearly, it all depends on what the marketing investment is trying to achieve and what the data is showing us. This has fundamentally changed the way our industry works together. Different advertisers have different needs, and their rosters reflect this. Almost every agency has tried to bolt on front-end digital strategy and “content” offers. Advertisers will move away from the linear agency line-up towards a mix-and-match approach. Media owners and technology players are increasingly intertwined in this more flexible and bespoke model. All in all, it’s a new form of agency collaboration and working process that will need to be embraced openly and without legacy protectionism. In recent years, the frequently wrong perception has been that the only part that differentiates an agency from another is the strategists. But ad-served media will continue to grow rapidly and that brings with it a raft of new “real-time” buying and auction-based models. Ad exchanges, retargeting technologies, self-serve and network optimisation have all added to the more established interfaces – witness the rise of the new model buyer, all decked out in the latest technology. Add to this increased barter, contra and content exchange and you will see that we now have a very broad playing field. Whole conferences are dedicated to “electronic trading” and the merits and “efficiencies” of these different models. All parties are keen to be seen to be looking forward. As a start, we need to find a common understanding and set of terminology for what we are debating – we shouldn’t confuse electronic exchanges/auctions with electronic work flow systems. For all sides, the latter are a “no-brainer” and the former are likely to grow given the rise in ad-served media. It’s a trend that potentially all sides can benefit from; but exchanges and auctions are rarely perfect, reliant as they are on up-to-the-second accurate data, instant gratification and universal access. Capturing the value is the sport here. Having a clear point of view on how these new “markets” can be accessed will be a prerequisite for media agencies, and different briefs will require different approaches. The trend will be more real-time buying, but not forgetting that, equally, there will still be value created in our ability to commit to futures as well as short-term relative positions. Some common ground will need to be found when media owners, seeking to monetise their audience more profitably, understandably propose new currencies. Agencies, approaching with a different value equation, will increasingly move to a more bespoke client approach. The internet is now in our hands; this means location-based search, social, apps, commerce, comparison, couponing, TV. We are not talking about transformational change, but technology that allows people to do things with more freedom and achieve a richer experience. For advertisers, there are more opportunities than perceived threats (eg. the challenge of mobile comparison shopping in-store … or opportunity as they are in-store?). There are questions we need to ask – is this about customer acquisition or retention? Is this about a brand’s social currency or about driving sales close to the point of purchase? Agencies need expertise and an understanding of the target consumer and how they are using the technology in hand. We may need specialist expertise from the mobile networks, but the impact of mobile is too universal to limit to a single agency silo. You can’t stop them; someone somewhere in your network is going to share one. Whether it’s the funky Venezuelan office or as part of some highfalutin global PR plan – it will happen, they will be embarrassing and we should be able to laugh at ourselves! Underpinning all this are two things: talent and data. The former is the most important if we want to stay successful, and I support the current IPA president Nicola Mendelsohn’s commitment to development and training. We should be more focused on the application of the data we produce; talk less, do more. In helping us prove marketing effectiveness, we can move to a better conversation around added value with our clients. All players must respond proactively and professionally to the privacy and electronic communications regulations that come into force next year. For 2012, I think we are set fair as long as we continue to embrace change, train hard and, most importantly of all, continue to adapt. All agencies are built differently and it is this healthy competition that will drive the UK industry. 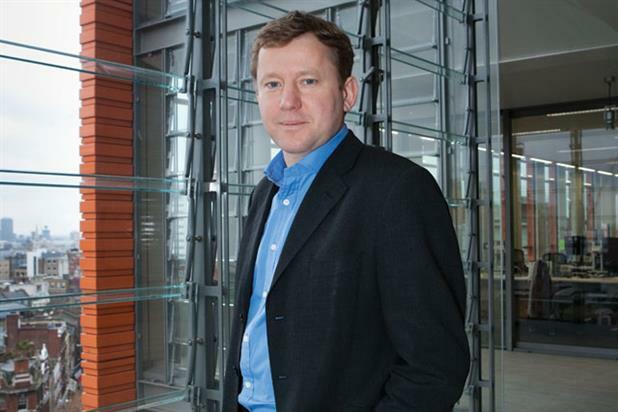 Jed Glanvill is the UK chief executive and a regional leader at Mindshare.